The owners of this small suburban garden were desperate for a contemporary social space in their garden that reflected the inside of their home, and would be a fun space to entertain family and friends. 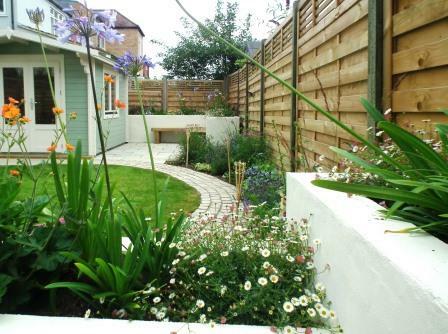 The existing garden was very uninspiring, with no patio, very narrow beds, a dilapidated shed and very few plants that the client wanted to keep. 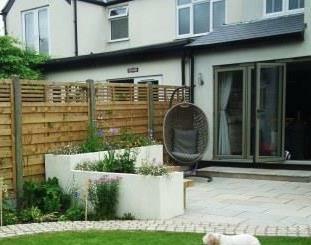 With young teenage children, the couple wanted to have a garden they could enjoy as a family and where they could entertain friends. 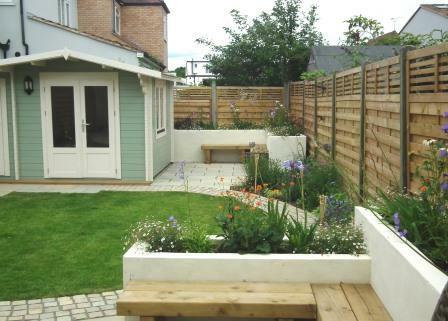 They wanted to replace the shed with a summerhouse with a shed attached for storage, a shady seating area at the end of the garden to enjoy on the hottest of days. 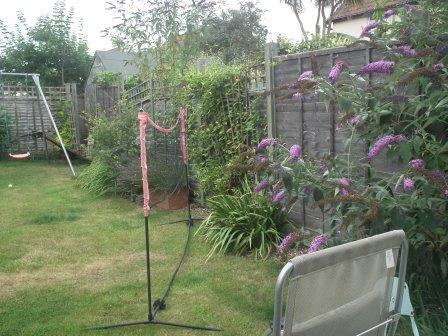 During the brief, the clients showed me images they had collected of bold contemporary outdoor spaces, lawn was essential to play boule, badminton and swing ball, as was a feeling of warmth and ambience. Because the garden was relatively small, I decided to use curves to convey a feeling of space, this also means that some beds are much larger than others bringing planting into the centre of the garden, softening the edges and bringing colour into focus. 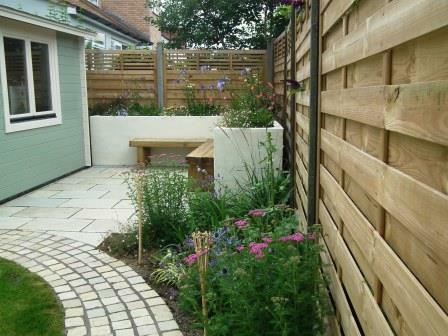 Raised beds are used to lift the focus higher and are filled with bright perennials, they are painted in a soft cream to compliment the paving, and they create small social spaces within the garden. 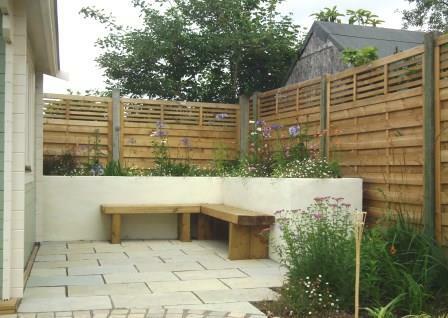 We designed simple bench seating along the raised beds where space was limited, but also allowing space for the family table and and barbecue. Limestone paving compliments the colours of the house and windows and ties in nicely with the sandstone set path that snakes its way across the garden linking the two patios. 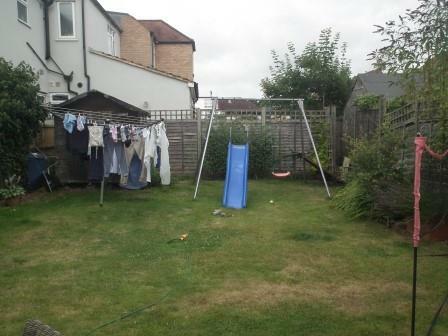 The curved lawn is just big enough for some ball games, allowing the family to let their hair down.